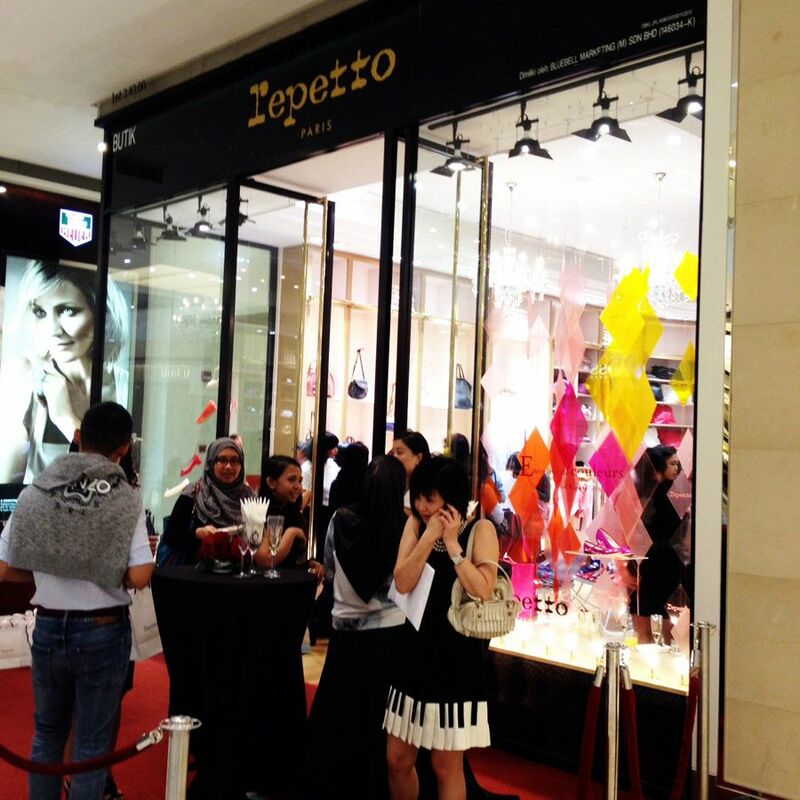 Revel in me...: Repetto Malaysia store launch. Went to Repetto's launch in Pavilion KL sometime back! If you don't already know, Repetto is a French ballet shoes company that was created back in 1947. This iconic company has transformed ballet shoes into something so fashionable and covetable, and has had collaborations with Issey Miyake, Yohji Yamamoto, Commes des Garcons, and even Karl Lagerfeld! Such a beautiful (interactive) window display! Especially for a ballerina-fanatic like me hehe. 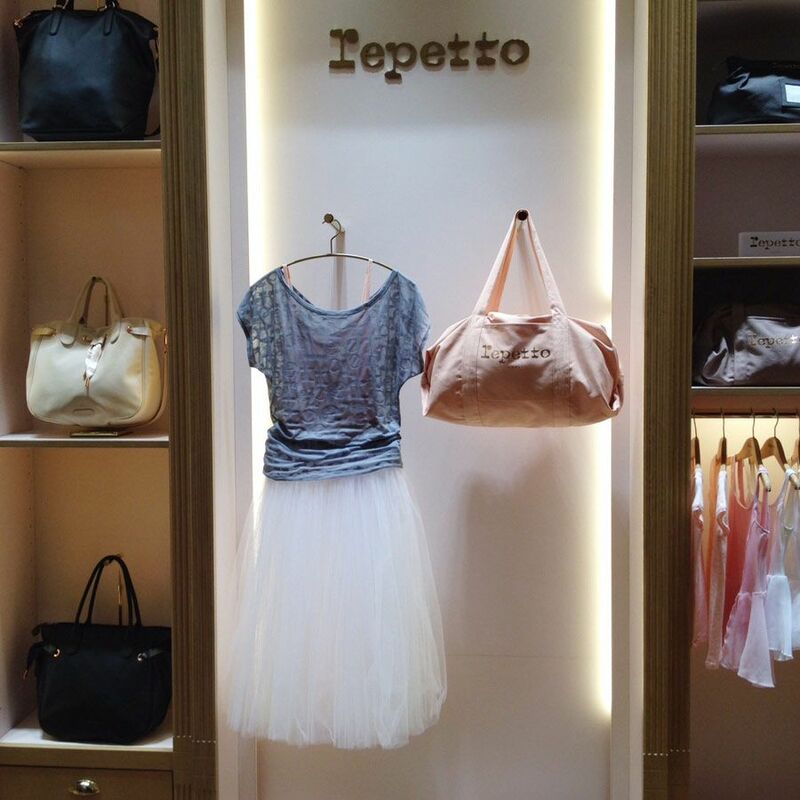 I was really excited to see how the Repetto store in Malaysia will be like, and I wasn't disappointed! First sight that caught my eyes-- Repetto ballerina shoes in all sorts of delectable rainbow colors OMG. With Audrey! We were in awe with the beautiful interior of the store-- high ceilings, chandeliers, tutus... And a whole wall of ballet pointe shoes behind us! Repetto also has an adorable collection of bags and ready-to-wear. Both Audrey and I were eying this electric blue patent ballerina pumps with a slight heel! So comfy yet striking. Which ones will you pick if you were me? And if you want to admire Repetto ballerina shoes upclose, their store is at: 3.43, Level 3, Pavilion KL. But don't say I didn't warn you-- you won't want to leave! Great post! Would like to ask how much is one pair of ballerina? It looks great on you!